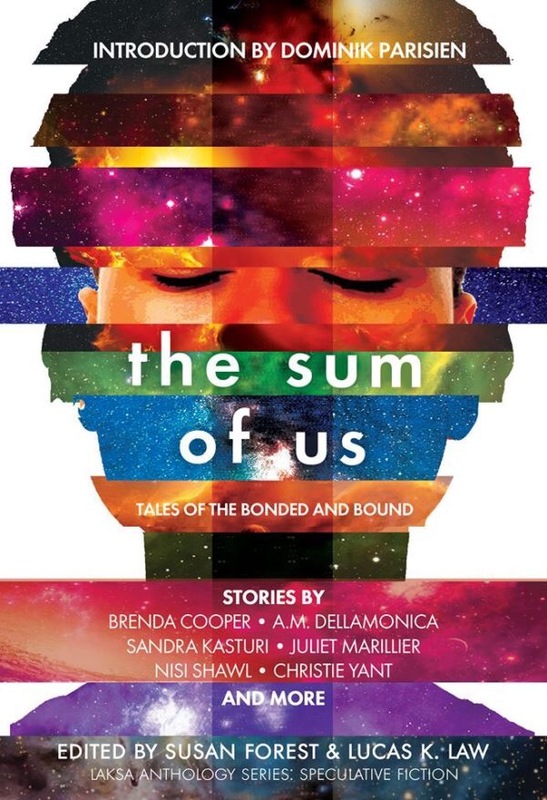 Edward Willett takes a different perspective than many of the authors in the collection “The Sum of Us”, a collection about caregiving, and, instead LITERALLY dehumanizes caregiving. Instead of focusing on caregiving among humans, Willett focuses on the idea of insectile care, specifically that of a sentient alien race that has insectile characteristics. Care is an important part of most colony insects that have a queen. In these colonies, various insects specialize in certain duties to ensure that the queen is able to continue reproducing and providing new members for the hive. These roles can be varied from protecting the hive from intruders, bringing food, removing waste, carrying larvae, cooling eggs, and maintaining the queen’s needs. Willett’s “The Mother’s Keeper” centres around the growth of a young member of a hive society named Praella, whose caring role changes as she ages, but centres around the care she needs to provide for the Mother (who takes on an insect queen role). The Mother of this hive has a body that extends throughout all parts of the colony, and is needed for all aspects of life in the colony. The only problem is that Praella is witnessing the end of the Mother’s long life, something that her hive is unprepared to deal with. The Mother is gradually rotting throughout the city and the hive begins to dissipate, but Praella maintains her adherence to the Mother, staying with her through all of her changes even though she does not speak to Praella. Although “The Mother’s Keeper” focusses on an insectile relationship, an adherence and total dependency on the hive queen and her total dependence on her children, Willett explores very human relationships, examining the way that our relationship to caregiving changes as we age, and the complexities involved in caring and, particularly, in being a sole caregiver. His narrative involves more than a civic duty to offer care, but, rather, a biological impulse, a fundamental NEED to offer care, which allows the reader to interrogate ideologies of caregiving in our society and contemplate what care could mean. Review of “A Little Space Music” by Edward Willett. In On Spec Vol. 24, No. 1, Spring 2012. In “A Little Space Music”, Edward Willett demonstrates his creative wit and humour. He plays on an issue that is familiar to any of us who have done amateur theatre… the issue of making a cast out of actors with varying skills. But, his theatre has a twist – it is made up entirely of aliens being directed by a human. Willett explores what it would be like to direct diverse alien bodies in drama, dealing with issues like movement, blocking, and the portrayal of emotion for people without human bodies, human movement, or human faces. How do you direct emotional display by your actors when they don’t display their emotions with their faces but through producing different colours of slime? Willett creates an alien race (the Squill) in search of religion. Believing that religious ideas must encompass all of the universe’s ideas about the divine (a form of consensual theology that actually seems to make a lot of sense), they explore varying worlds to choose among their religions to incorporate into their own views on the divine. On earth, they debate from two areas: hockey… or musical theatre (the two things that they see as drawing the largest crowds) and decide that musical theatre is their one true path to the divine. Willett expresses an idea that is common to many who are in musical theatre because of their love of performance… the idea that the only place to make money acting is on an alien cruise ship. This work portrays cultural consumerism gone wrong, and the consumption of the arts of others in order for people to feel more at home with themselves. You can explore On Spec’s website at www.onspec.ca and find out more about this story. Visit Willett’s website at http://edwardwillett.com/ for more information on his upcoming projects. -Edward Willett – A Little Space Music (in On Spec Spring 2012).